Life with Lesley: You're Invited! 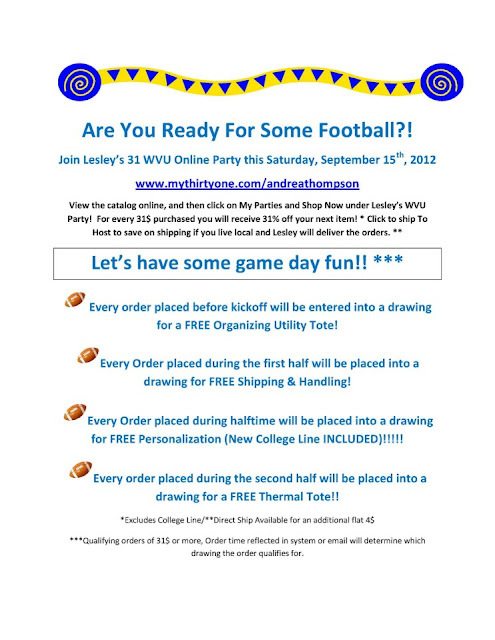 To a Thirty-One WVU (or the college of your choosing) Tailgating party! 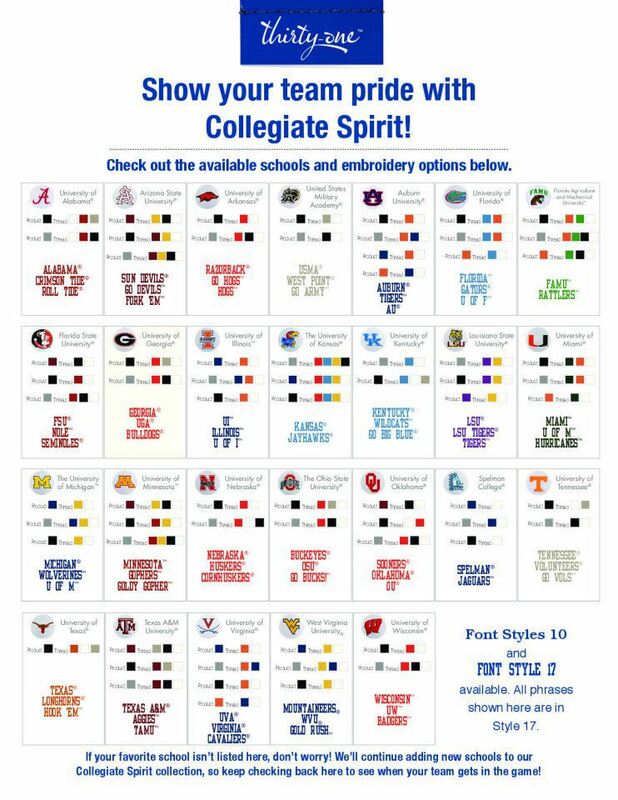 Thirty-One has come out with a new collegiate line that has some awesome products. With matching thread colors and new icons you can support your team like never before!